Here is my TOP list of Audrey Hepburn books that I recommend all these books to all of my visitors and Audrey Hepburn fans. If you can’t afford all the books or don’t have enough time to read them then I have conveniently listed all the key points and pros of each one. You can pick one out based on if you want a biography, photo book for the coffee table, or a book on how to be like Audrey Hepburn. Some of these I’d recommend more over others, but they are all great in their own ways! I’ll make some notes for them them below. The Ultimate Coffee Table Book – If you are searching for a great photo book of Audrey or just in general, then this is the one you absolutely need to get! It has 192 pages which are gorgeously laid out with breathtaking photos on almost every single page – This is a perfect book and conversation piece to thumb through pictures and strike up conversations with friends or family. Shows ALL the pictures from the Audrey Hepburn Exhibition by the National Portrait Gallery in London, England July, 2, 2015. One of the best Audrey Hepburn books to get in my opinion for the magnificent photos. 496 PAGES LONG of content packed information! This author, Barry, has done an outstanding job in investigating and interviewing people who were close friends, and costars of Audrey’s to get their perspective of her. There hasn’t been a biographer who has yet been able to interview as numerous of friends and famous costars as this author has achieved. This is a great Biography and a must read for any one who wants to know more about Audrey Hepburn and wants to be an Authority on the subject of her. This is the first one of the Audrey Hepburn books written by her sons. The second one is down below written by Luca Dotti. Contains 336 pages of great info. This book goes more in depth into her early career than all the other books. 208 Pages – This book is more of a book based on philosophies of how Audrey Hepburn lived rather than a biography. This book definitely imparts wisdom and insight from Audrey Hepburn. THIS book is written by Audrey’s 2nd son, Luca Dotti! Finally get a glimpse into the private world of Audrey’s that no one ever knew about from the perspective of her son – her children, friends she had over, her pets that she loved and adored, and her overall lifestyle at home. Collections of her favorite memories – excerpts from her personal correspondences such as drawings, anecdotes, mail, her favorite recipes written in her OWN handwriting. This showcases and lists Audrey Hepburn’s very own recipes! So you can recreate the same things that she ate! In 32 pages of charming illustrations, both children and adults can both learn a couple awesome things about Audrey Hepburn. This book covers her career, motherhood, childhood, and UNICEF work. MY FINAL THOUGHTS: Out of all the Audrey Hepburn books, this is the cutest. The book is absolutely charming, and as an adult, sometimes reteaching something in a children’s book format will drive home a point more – it’s very cute… but also in depth and substantial. 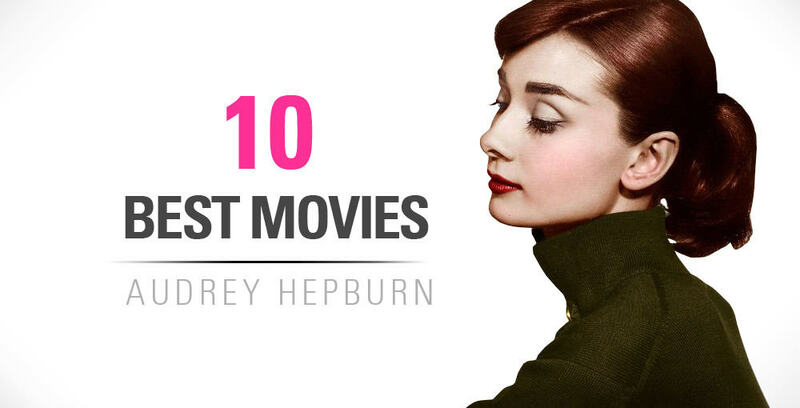 What are your Favorite Audrey Hepburn Books?! I’ll try to put up some more books, however, these are some of the most prolific ones. So don’t worry we have you covered. If you found a book that you think should be up here, please drop me a line below! I have most of those books, all definite must haves for the fan!! But another great one is “The Audrey Hepburn Treasures” by Ellen Erwin and Jessica Diamond. What makes it so different is that it has copies of mementos from her life, such as post cards, playbills, letters written to Audrey, etc that you can pull out examine, all very cool. It has some new photos but the mementos is what makes it special. My favorite one has to be the copy or a few pages of the Breakfast at Tiffany’s script with her handwritten notes! Ooooo, thanks for sharing Jon! You’re making me Jealous now! 🙂 I need to go and get the book now, you’ve piqued my interest! Hehe. By the way, best Audrey website in the world!!! Thanks for keeping the torch burning so brightly. Another honorable mention book not on the list, though a great read was Sam Wasson’s “Fifth Avenue, 5 A.M.: Audrey Hepburn, Breakfast at Tiffany’s, and the Dawn of the Modern Woman”. A long title! But filled with lots of background information, movie history and stuff for the ardent Breakfast fan. Jon, that means so much to me! A lot of work goes into the site that most people don’t see. So thank you so much for your kind comment. I’ve heard of that one and always wanted to read it! Thanks for reminding me and the readers!